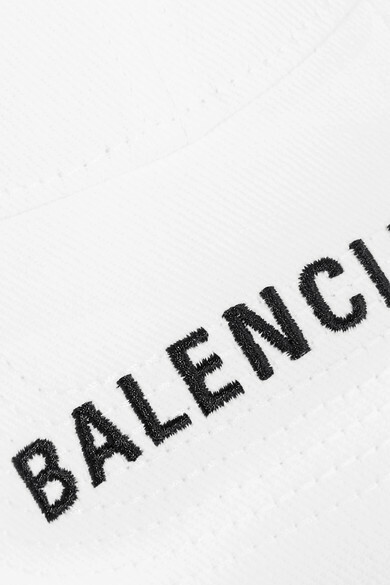 Demna Gvasalia's baseball caps for Balenciaga debuted in the brand's Resort '17 collection, and now several seasons later he still champions the sporty trend. 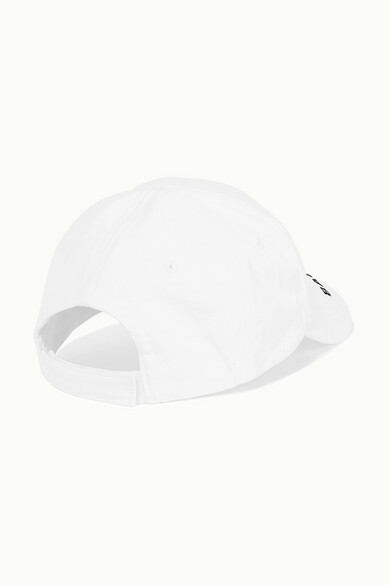 Made in Italy from white cotton-twill, this minimalist style is embroidered along the brim with the label's moniker in contrasting black lettering. Customize the fit using the Velcro®-fastening strap. Shown here with: Balenciaga Jeans, Balenciaga Jacket, Helmut Lang Sweater.